You can ask whatever questions you want. You can meet kids who are curious, compassionate and different, just like you. You can be welcomed as you, whatever your gender identity, sexual orientation, family structure, income or age. You can explore ideas and figure out your own viewpoint, with help and guidance from caring, open-minded teachers and youth advisors. Our RE program is not about providing the answers before kids can ask the questions, it’s about exploring and developing our own truths, and learning how we can create a better world for ourselves and others. Our program is offered every Sunday (unless the service is mult-generational). UUCD has firm policies on volunteer screening, supervision and care, so you can be assured your children are nurtured in a safe place. RE classes are small, so your children (and you!) will easily make friends and find support from a caring community. If you are looking for spiritual or church program where your children can find the tools and resources to expand their horizons and form their own opinions … congratulations, you just found it. Why not check us out one Sunday? Or, contact our Director of Religious Exploration, Birgitta MacLeod, at dre@uucd.ca. During 2018-19, come explore a wide variety of topics, including mystery and wonder, world religions, and men and women who make our world a better place. 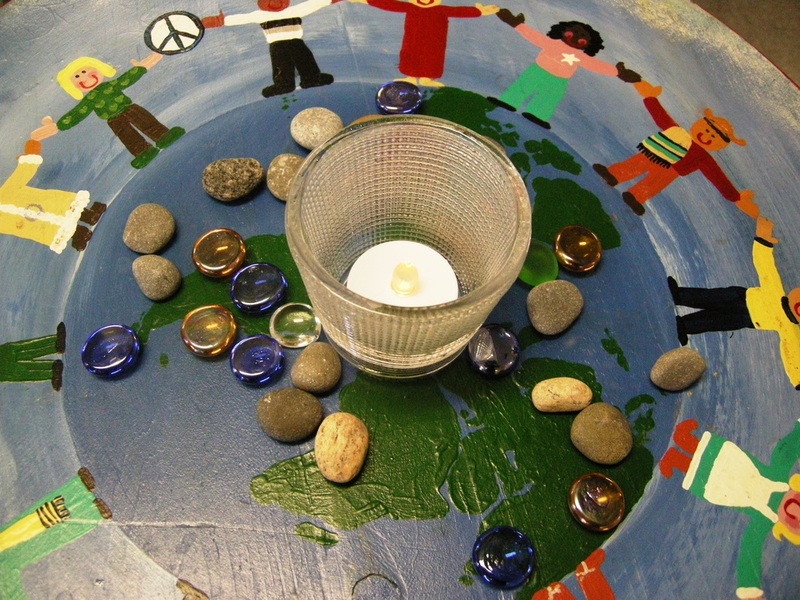 This year we are using Stories from around the world and from different religions and cultures to guide our activities. We'll be exploring peace, loyalty, kindness, honesty, gratitude, forgiveness, endurance, justice, leadership and more.We'll also be celebrating Hallowe'en, Diwali, Hanukah, Winter Solstice, Christmas, Beltane, National Indigenous People's Day and more. We'll play, design, discuss, build, cook, explore and widen our horizons. Our Whole Lives (OWL) is a program about healthy sexuality offered by Unitarian Universalist Congregations in Canada and the US. We believe it is important for children, youth and adults to be well-educated, with age-appropriate information, so we can communicate openly and honesty and enjoy healthy relationships. Look for OWL programs at UUCD in late 2019 and 2020. Relax and reconnect with nature at Unicamp! A wide mix of programs, including children's camp, youth activities and adult enrichment can be found in one of Ontario's best treasures -- Unicamp. It's also a terrific place to pitch a tent or set up a trailer for a weekend, a week or the whole season. To find out why UU's love Unicamp, check out their website. Calling all youth age 10 to 14! The UUCD Jr. Youth Group is a place where young people can truly be themselves in a supportive and non-judging environment. We're goofy, nerdy, sporty, artsy, hipster, LGTBQ, straight and interested in a wide variety of issues. We get together twice a month on Sunday mornings for our own time of discussion, sharing and fun. UUCD provides childcare on Sunday mornings. You'll enjoy the fellowship and personal enrichment of our Sunday service while your toddler plays in a safe environment with other children. Childcare and RE programs take place together in the lower level of the community centre building.